When I was a lad in elementary school, I couldn’t wait for summer vacation. As a dyslexic student, school was my greatest stressor, and that fact only made my longing for summer break more intense. During my carefree summer months, I rode my bike, climbed trees, played ball with friends, went exploring constantly, fished, caught frogs and locusts, and went on a family vacation. The last thing on my mind was reading books; I thought very little about school or the need to maintain what I’d struggled so hard to learn during the school season. The truth is that all children, dyslexic or not, face an unintended consequence of the summer break from school—a “summer slide” or learning loss. In 2011, the RAND Corporation published a study demonstrating how students in the United States lose an average of one month’s worth of learning in reading and math skills over the summer. Lower income students may lose up to two months of learning during the summer because they often don’t have as much access to a vacation or other educationally stimulating venues. The educational stakes for children are high, because these educational losses actually compound summer after summer. According to the study, 20% of third-graders in one state could not read at grade level. By the eighth grade, the number of students reading below grade level had increased to 33%. The accumulation of several years’ worth of summer reading loss greatly contributes to these statistics. The good news is that small efforts to counteract the summer slide bring big returns. If a student reads as few as five books during the summer, it can prevent learning loss in reading skills. What can you do to help your children? Read to your children or to a child you know. There is no better way to encourage reading than to read aloud with our young ones. Encourage an interest in reading. 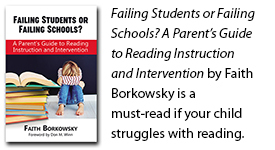 This is more challenging for students with dyslexia or other learning differences. Talk with your kids and discover what their interests are. Ask a lot of “why” questions, and then find the answer together through reading—using online sources counts too. It’s still reading. Use online tools like Goodreads to help your child feel a part of a group of readers. There, they can list books they’re going to read, comment and rate ones they’ve read, and feel a sense of accomplishment as they check books off their list. Foster a sense of achievement. Colored stickers, gold stars, or other marks of completion can encourage kids to compete with themselves to read more and more. Check your local library for summer reading programs and activities. Many libraries have lots of fun things available including author visits! When kids get together over the summer, have each child take a turn talking briefly about things they have read. It doesn’t have to be a long, complicated discussion. Sixty to ninety seconds about each book is enough to stimulate an interest in reading among other kids in the community. This also gives the kids who have read books something to share that they can be proud of. For children who really struggle with reading, or who cannot imagine reading ever being pleasurable, check your local library for audiobooks. Listening to books can be a real inroad into the heart of the challenged reader. The more they can develop a love of story, the more they will be inspired to discern their own learning and reading style and overcome their limitations. If they enjoy audiobooks, it can help dispel some negative emotions they may have previously associated with the idea of reading for pleasure. This summer, as each family finds more fun reasons to read, I look forward to hearing from you. Let me know when you read your five books (or your first summer book, or your second…), including audiobooks. Which ones did you read? What did you like about them? Would you recommend them to others? Let’s make this a great summer! Happy Reading!